Updating and improving the outdoor space of your rental property can prove to be very useful for a landlord. On the one hand it can increase the value of the property a great deal and on the other hand it can make it more appealing to tenants too. Most tenants these days love to rent a home that has a nice garden or even a backyard where they can get some fresh air and entertain their guests. 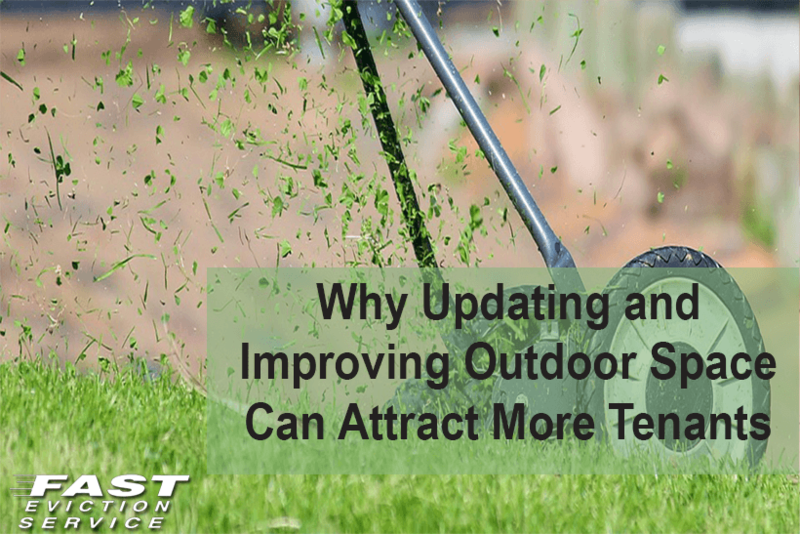 The following are some of the reasons why updating outdoor space can improve the curb appeal of your rental property and make it more attractive for prospective tenants. One of the main reasons why landlords should update the outdoor space of their rental properties is that it increases the usefulness of that space. For instance, if the garden or backyard has a fountain or a gazebo placed in it then the tenant would have a place to entertain their guests in the open air. An updated outdoor space can work as an additional room for potential tenants, thus making your rental property more appealing to them. Updating any area of your rental property can add value to it. Renovating the outdoor space can have a great impact on the curb appeal of your rental property. A well-maintained lawn or garden is sure to make your rental property stand out from the rest. Prospective tenants would be mesmerized with the beautiful outlook of the home and would thus become instantly interested in renting it. While some tenants might prefer to make their homes private by keeping their windows closed or covered, most of them like to keep their windows open. An outdoor space featuring trees, bushes and shrubs can provide such tenants a more natural means of ensuring their privacy. They won’t have to close their windows or cover them up with blinds and can let fresh air into their homes without compromising their privacy. Another reason why updating your rental property’s backyard or garden can prove to be crucial to you is because it will send a positive message to potential tenants. Tenants love to see that their landlord is willing to make renovations to the rental property. So, when they will see an updated and improved outdoor space, they would realize that you care about your property’s condition and well-being and thus would have no qualms in signing the tenancy agreement.